An Open Loop System involves pumping water from a ground or surface water source, perhaps a water well, river or lake. This water is circulated through the plant room heat exchange system and spent water is usually returned to the original source. 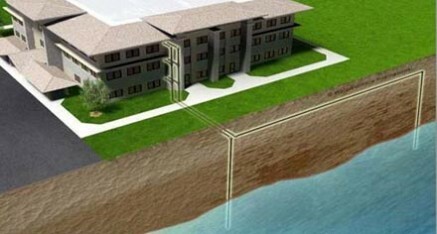 The geothermal heat exchange process delivers the heating or cooling requirements of the building. System efficiency and sustainability are critical to the scheme development. 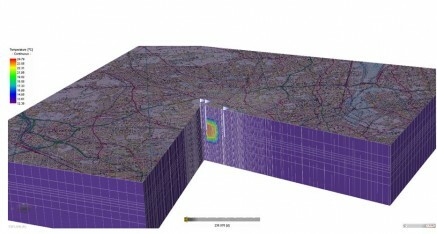 GSC demonstrate this to both the development team and the Environment Agency (EA), through the use of Finite Element Simulation Software (FEFLOW). Open loop systems are subject to rigorous regulatory processes involving environmental authorities such as the EA and the Coal Authority (CA). GSC manage the applications and whole regulatory process to get the permissions and licenses that may be required. Ground Source Consult Designers work very closely with EA and CA officers to ensure that the scheme will operate within all guidelines.